The Pieps DSP Advanced was discontinued in 2009. 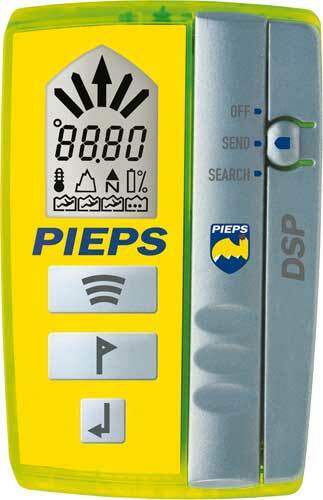 The Pieps DSP Advanced included the same features as the Pieps DSP plus it included a temperature display, compass, and barometric altimeter. The Advanced was only released in the United States. Pros: The "Pros" of the Pieps DSP plus additional features unrelated to searching. Cons: Additional features unrelated to searching.